Finally....some paintings to show you, that is my job after all. 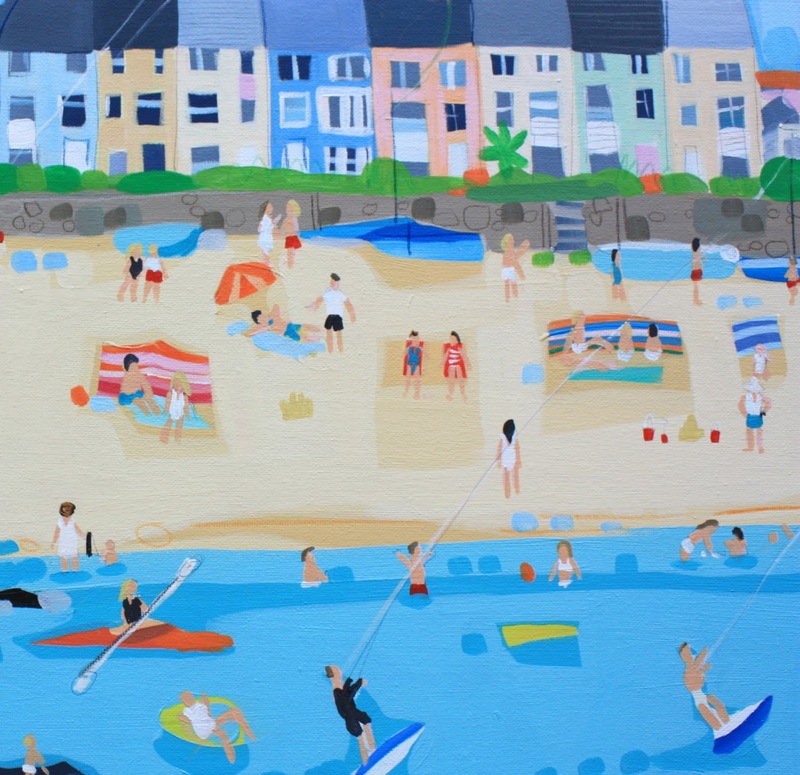 This painting is hot off the easel... its a commission for a couple living in Australia but grew up here, so we had a family day at the beach in Rhosneigr on Sunday for research, ahem, its such hard work doing research for a painting! I got to spend quite a bit of time in the studio this week and ta da its pretty much finished. A few details to finish and then varnish. This painting is pretty big, 5ft wide, I do hope it makes it all that way safely, and next week I am about to start on the biggest painting I have ever done at 8ft wide.....I'm really looking forward to it. I'll keep you updated on its progress. Well, It promises to be a busy busy weekend in the gallery what with jubilee celebrations, the Beaumaris arts festival on, and the craft fair, oh and the beaumaris wheel in town....and a bank holiday, whew what a weekend. Hope everyone has fun, I'm looking forward to hearing what everyone got up to. This painting is just amazing! I love looking at all the little details. Just wonderful!